“The Early Earth: Accretion and Differentiation” a été écrit sous la direction de James Badro, membre de l’équipe de I6 “De la poussière au planète”, et de Michael J. Walter. 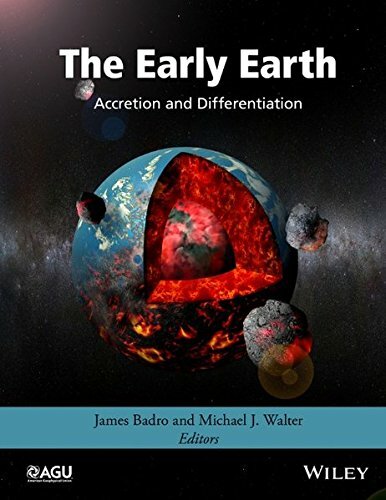 The Early Earth: Accretion and Differentiation provides a multidisciplinary overview of the state of the art in understanding the formation and primordial evolution of the Earth. The fundamental structure of the Earth as we know it today was inherited from the initial conditions 4.56 billion years ago as a consequence of planetesimal accretion, large impacts among planetary objects, and planetary-scale differentiation. The evolution of the Earth from a molten ball of metal and magma to the tectonically active, dynamic, habitable planet that we know today is unique among the terrestrial planets, and understanding the earliest processes that led to Earth’s current state is the essence of this volume. Important results have emerged from a wide range of disciplines including cosmochemistry, geochemistry, experimental petrology, experimental and theoretical mineral physics and geodynamics. This volume will be a valuable resource for graduate students, academics, and researchers in the fields of geophysics, geochemistry, cosmochemistry, and planetary science.